The New Daniel Bryan may not have wrestled during last night’s SmackDown Live, but he did get the opportunity to lace up his boots once the show had concluded. Facing off against The Miz — who had not only wrestled in the SmackDown main event against AJ Styles, but also for the Mixed Match Challenge — Daniel Bryan was prepared to clash with his longtime rival for that night’s dark match in an interesting role reversal. Before they locked up, however, Daniel Bryan grabbed a microphone and singled out a young fan in the audience. Having seen the fan was holding a sign about their birthday, Daniel Bryan took the opportunity to relish his developing heel persona. 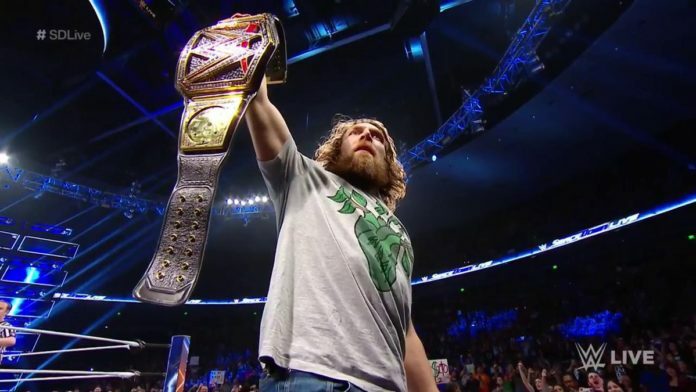 Daniel turned heel a few weeks ago on SmackDown, embracing the moniker of ‘The New’ Daniel Bryan. This heel turn led him to victory, defeating AJ Styles for the WWE Championship after a low blow followed up with a running knee. He will defend the WWE title against Styles in a rematch at WWE’s Tables, Ladders and Chairs event on December 16th.